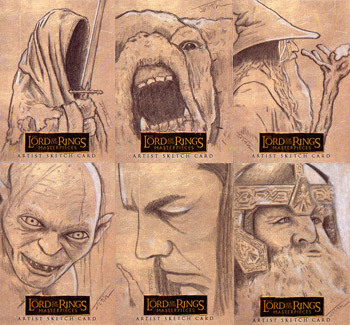 I'm a professional illustrator and sketch card artist on popular comics, TV, movies, and gaming properties like Marvel Comics, DC Comics, Star Wars, Star Trek, Firefly, Indiana Jones, The Lord of the Rings, the Classic Sci-Fi & Horror Collector Series, and Grimm Fairy Tales. 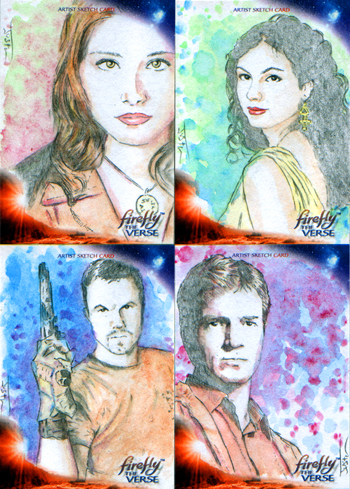 I foster an active following by thoughtfully engaging my social network followers with my art, convention adventures, and geek-centric content. For assorted geek fun, follow me on Facebook, Twitter, and Instagram. I illustrate professional art, create online content, develop creative concepts, and provide thoughtful and informative advice for companies, organizations, and individuals. I work through referrals. If you're interested in hiring me, have one of my colleagues or clients introduce us. In 1995, I created the award-winning World Famous Comics, one of the Web's first and largest destinations for comic book and entertainment fans. 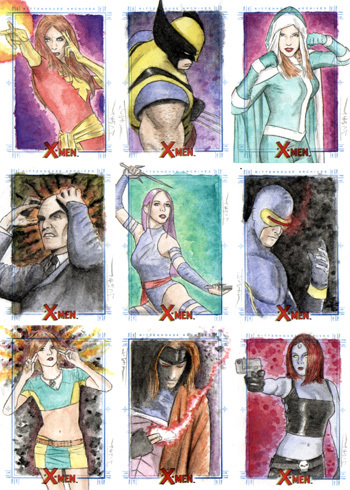 Updated daily, WFC produced the very best for the Web by publishing exclusive columns, comics, contests, and features. Today, World Famous Comics is an artist collective appearing yearly at San Diego Comic-Con International (SDCC) in Hall G, booth 5560. 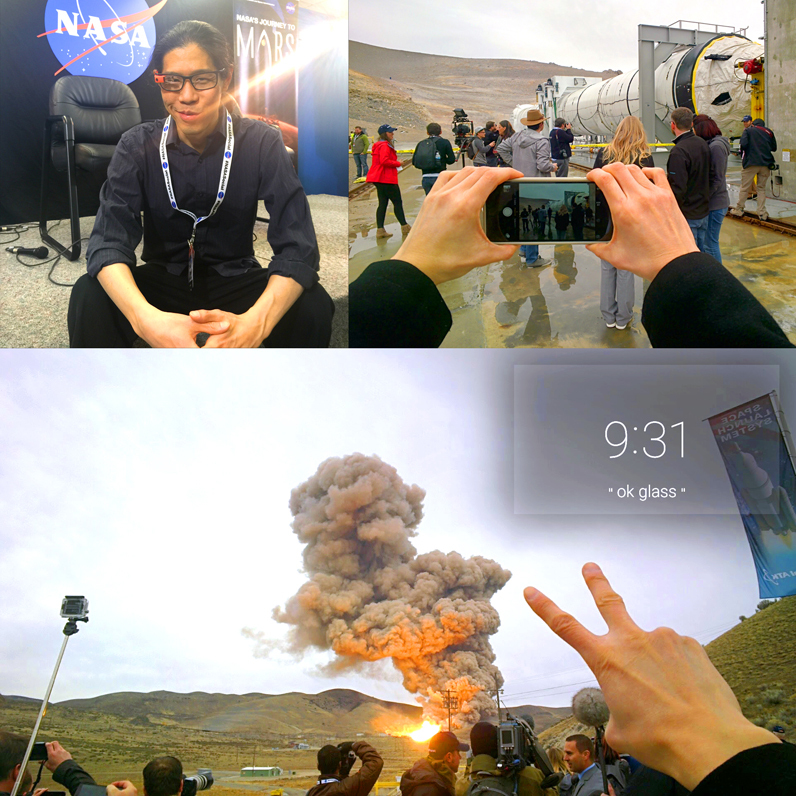 I've been invited by NASA to join select influencers and science/technology mavens to go behind-the-scenes at various NASA facilities to speak with scientists, engineers, managers, and more so I can share what I learn with my social media followers and live-tweet from these events. I've illustrated artwork for a licensed Star Trek print available at an official Star Trek convention celebrating the 20th anniversary of Star Trek: The Next Generation. A special guest at this Creation Entertainment event, I had the honor of autographing with actors Jonathan Frakes (William Riker) and Marina Sirtis (Deanna Troi) this official Star Trek collectible for attending fans. 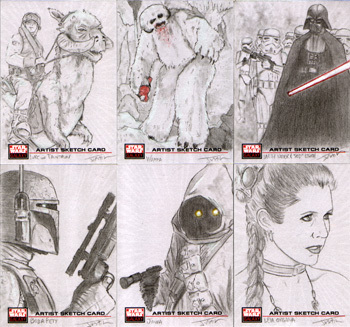 In addition, I was invited by Lucasfilm to be a guest at the Star Wars Celebration IV Art Show which brought together an incredible roster of talented artists who have contributed to the Star Wars galaxy. 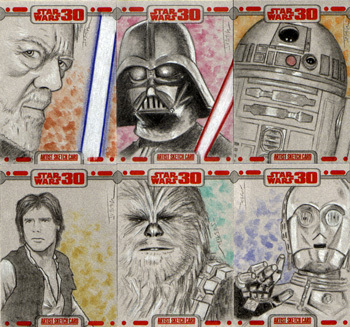 For this historic event, I illustrated artwork for a limited edition Star Wars 30th Anniversary lithograph. 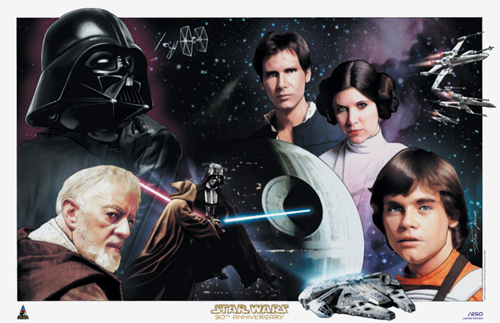 This high quality and official Star Wars print was limited to only 250 hand-numbered and autographed editions and available exclusively to Celebration IV attendees. I have a historic portrait series that feature illustrations of Albert Einstein, Nikola Tesla, H.P. Lovecraft, and Edgar Allen Poe. 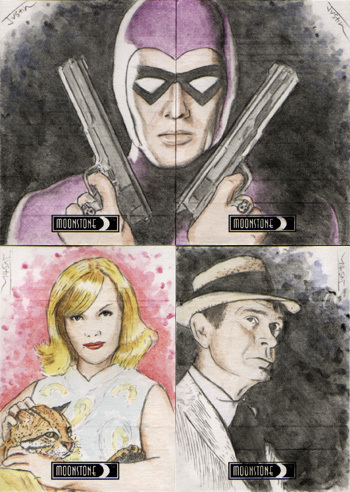 New portraits to this series debut as Comic-Con Limited Edition prints. I also have a cosplay and geek-inspired pin-up series featuring friends, colleagues, and people I know as my models. My models so far include Miracole Burns, Brieanna Brock, Dana Braziel-Solovy, Meredith Placko, Monique Renee (formally Duval), Victoria Paege, and Jettie Monday. 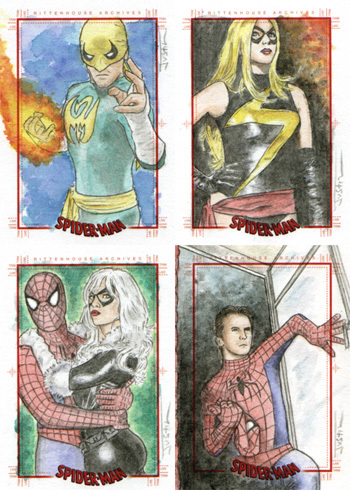 New pin-ups debut as Comic-Con Limited Edition prints. 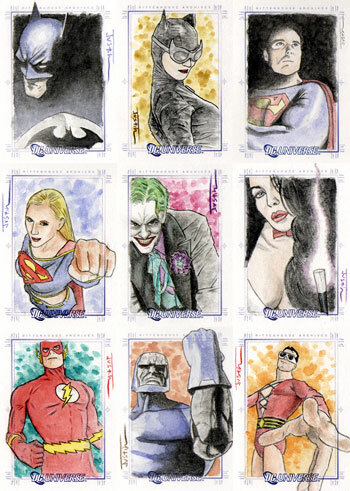 I've illustrated sketch cards for such popular properties as Marvel Comics, DC Comics, Star Wars, Star Trek, Firefly, Indiana Jones, The Lord of the Rings, Bench Warmer, Grimm Fairy Tales, the Classic Sci-Fi & Horror Collector Series, Major League Baseball (MLB), and National Basketball Association (NBA). 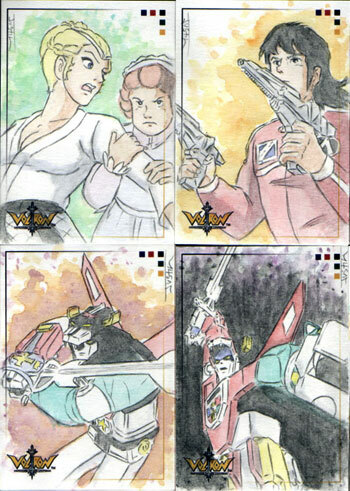 My collectible cards, each an original hand-drawing that's randomly inserted into trading card packs, can be seen trading between collectors and sellers at conventions, online communities, and eBay [Currently on eBay | Recently on eBay]. 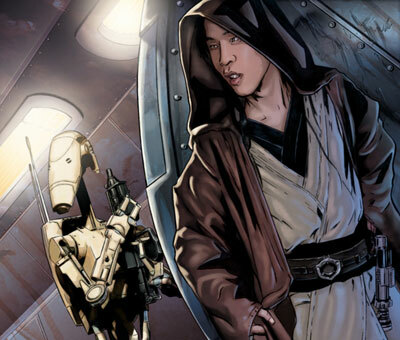 I'm also the real-life model for the Star Wars character Kai Justiss. Named after me and based on my likeness, this enigmatic Jedi's appearances include the Star Wars Galaxy trading card series, issues of Star Wars Insider magazine, Jedi vs. Sith: The Essential Guide to the Force, The Complete Star Wars Encyclopedia, Power of the Jedi Sourcebook, and the comic book Star Wars: Jedi -- Count Dooku (collected in Star Wars: Clone Wars Volume 4 - Light and Dark). Kai Justiss has been illustrated by acclaimed artists Jan Duursema, Chris Trevas, and his creator Joe Corroney. 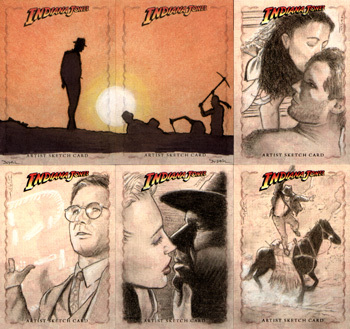 Writers that have contributed to his story include Pablo Hidalgo, Daniel Wallace, Ryder Windham, Abel Peña, Ryan Kaufman, and John Ostrander. 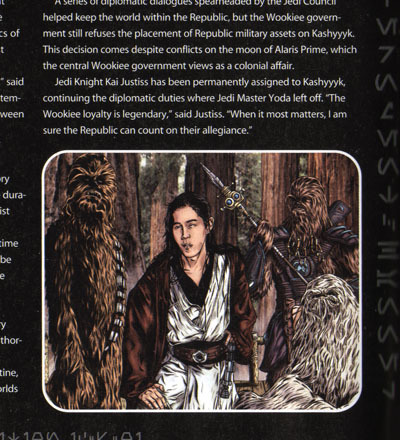 More info can be found in the Kai Justiss entry at Wookieepedia, the Star Wars Wiki [starwars.wikia.com/wiki/Kai_Justiss]. 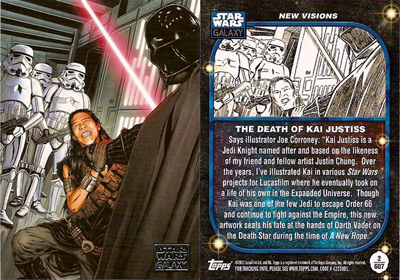 Kai Justiss is killed by Darth Vader on the Death Star during the time of A New Hope (0 BBY). 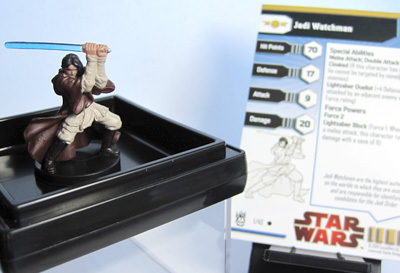 The "Jedi Watchman" figure (#1/40) in this set has a strong resemblance to Kai Justiss. 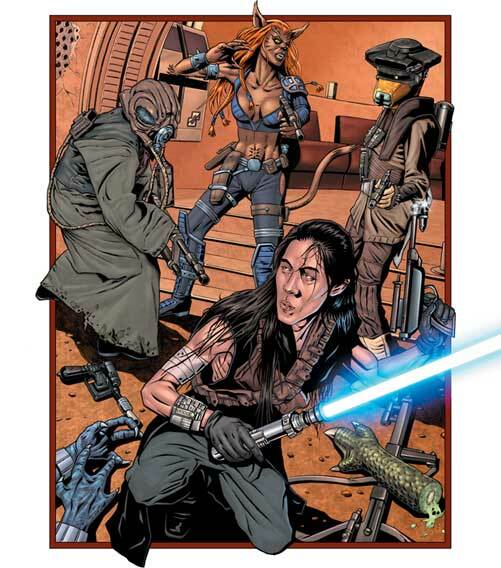 Still at large after the Clone Wars, Kai Justiss engages the Crimson Nova band of bounty hunters. Surviving Order 66, Jedi Knight Kai Justiss remains elusive and at large. 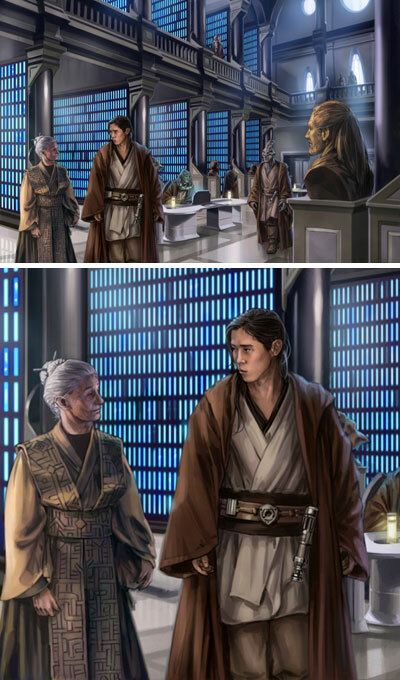 Succeeding Yoda, Kai Justiss continues diplomatic duties as Jedi Watchman of Kashyyyk. 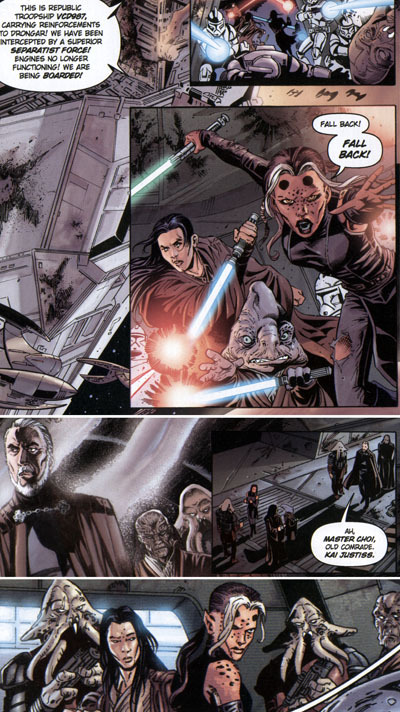 Kai Justiss, Tsui Choi and Sian Jeisel captured by Count Dooku. Kai Justiss encounters exotic creatures on far-flung worlds. JustinChung.com © 2019 Justin Chung. All rights reserved. All other © &  belong to their respective owners.